Second flower on this Miniature Dwarf Bearded Iris. (8"), always the first to flower. 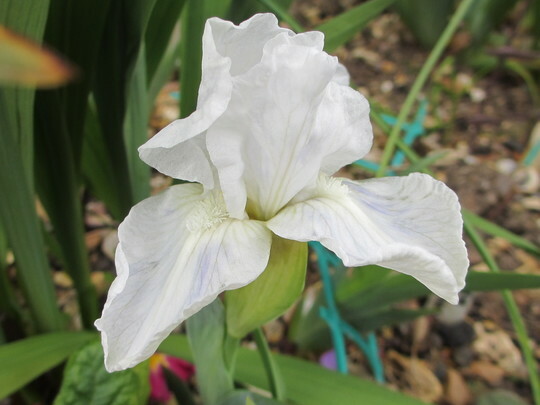 This photo is of species Iris MDB.